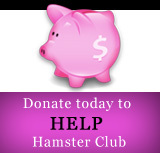 They may not live as long as some other household pets, but with a little love and attention hamsters can be very rewarding pets. 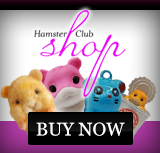 When you bring your hamster home for the first time you should aim to have everything in place to help them settle in to their new home, so it�s wise to take a trip to the store to pick up essentials. Your first priority should be setting up your pet�s living quarters. You may want to opt for a traditional wire cage, or one of the many rectangular, or multi-storey coloured plastic homes that are available. Some of the more luxurious hamster homes even come with their own network of plastic tubes to help keep your litter critter entertained. Having scope to explore and play is particularly important for hamsters because unlike other pets they spend the majority of their lives inside their own little house. To keep them safe when inside, make sure there are no gaps where they can escape, ensure the cage is free from sharp edges and provide plenty of soft bedding for them to nestle down in. Bedding should be non-toxic and unscented. You will find ready-prepared shredded paper priced fairly cheaply at most pet stores or use toilet paper as bedding. Other than keeping their cage clean and providing them with clean food and water, hamsters are very low maintenance pets. They are able to feed themselves if you put food in shallow bowls into their cage and fit a water dispenser for them � leaving you to enjoy watching them play.